If you’re running an online shop, it’s important to think about traffic you might get not only from the US, but also the rest of the world. After all, limiting your audience is also limiting your sales, and it’s always in your best interest to reach as far and wide as possible. To do it, you will need to first make your WooCommerce shop multilingual, and it isn’t as difficult as you might think. The reason so many people choose ecommerce is because of its convenience. Once upon a time, people used to have to call a taxi, take a bus, or drive to a retail store to view the items on offer. Nowadays, it’s easy to find almost anything you could ever imagine with a few clicks of a mouse. Nearly 70% of the population of the US shops online regularly, and of those, 40% bought goods from another country. Convenience isn’t only important to Americans, either; countries like Brazil, China, India, and Russia enjoy online shopping just as much. International ecommerce is growing faster than ever before, and the sooner you can introduce your goods to the rest of the world, the more likely you will enjoy success. WooCommerce is built on WordPress, which was originally designed as a blogging tool and not an ecommerce platform. Later, WordPress became a powerful site-building tool, and WooCommerce came along as a plugin that allowed individuals the ability to integrate online stores into their websites. For quite some time, doing much of anything with WooCommerce required more coding than the average person can learn in a few days. This made it very, very difficult to translate pages into multiple languages with ease. Over the years, though, the WordPress and WooCommerce communities have made things much, much simpler. Now, you can translate WooCommerce in multiple languages with ease and reach a whole new audience. The WordPress and WooCommerce teams have added some multilingual functionality to these platforms, and third-party developers have simplified things even further with extensions. There are two very different ways to translate WooCommerce and make your shop multilingual. The first involves creating a brand-new installation for every single language you would like to display in your shop, which ultimately creates individual sites for each language. There are some advantages to doing it this way. Each installation gives you a brand new, fresh site that allows you to add or remove certain pages and switch the products you offer. Because there are no plugins or extensions required, there is no additional cost. The downsides are significant, and they all relate to the sheer difficulty involved in managing content across multiple installations. It is difficult to add a language menu that your visitors can use to change the language as they see fit. Because individual installations are not linked, and each installation represents a separate site, the menu has to be added manually for each one. Finally, the lack of links between sites makes keeping inventory complicated. The more installations you have, the more difficult it becomes, and the longer it takes to run necessary reports. Multilingual addons and extensions are by far the best way to make your WooCommerce shop multilingual. These allow you to add numerous translations without creating a new installation for each language. While there are several extensions available, two stand out above the crowd as the most popular. These are Polylang and WPML. Polylang – Polylang is a plugin that allows you to convert your existing WooCommerce store into a multilingual one. It is free to use, and it allows you to translate every part of your shop. It automatically downloads and integrates available WordPress language packs. Unfortunately, you have to translate all the languages manually, it does not support multiple currencies, and the interface is quite technical, which can be difficult for less experienced WooCommerce users. WPML – If you need to make your WooCommerce store a multilingual one, there is no better way to do so than WPML. In fact, this extension powers some 400,000 multilingual WordPress-based websites around the world. Though you do have to purchase a license, it is for unlimited sites. A license is $79 for the first year and $39 for each year thereafter, or you can buy a lifetime license for $195. It supports all your preexisting WordPress themes, SEO for each language, currency conversion, country-specific payment processors, and more. It comes with easy-to-read documentation that will take you through the installation process step-by-step, as well. 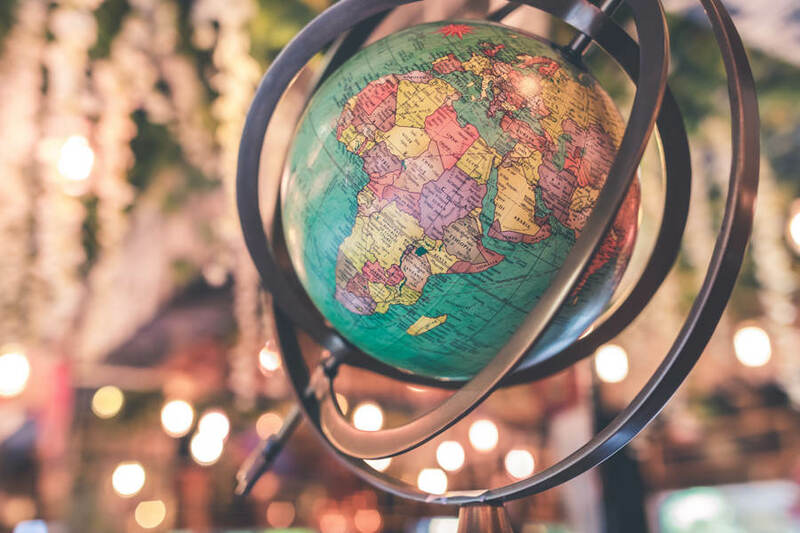 If you’re considering the idea of making your WooCommerce site an international one, it’s important that your visitors can read and understand your site. Though it used to be almost impossible to translate WooCommerce into multiple languages, there are now multiple ways to do it, whether you prefer a free option or a licensed one.